Size: approx. 15-20 mm. Photo: 07/04/16, 10 pm. 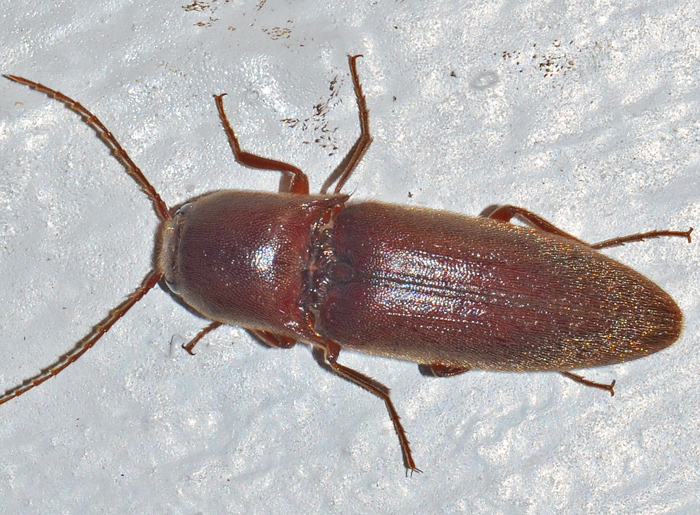 Diplostethus carolinensis is a rather large click beetle. The brownish color on this photo surprised me, because in real life it looked rather blueish black to dark gray.